Williamson struck exactly fifty to help Sunrisers chase down the small target of 139. 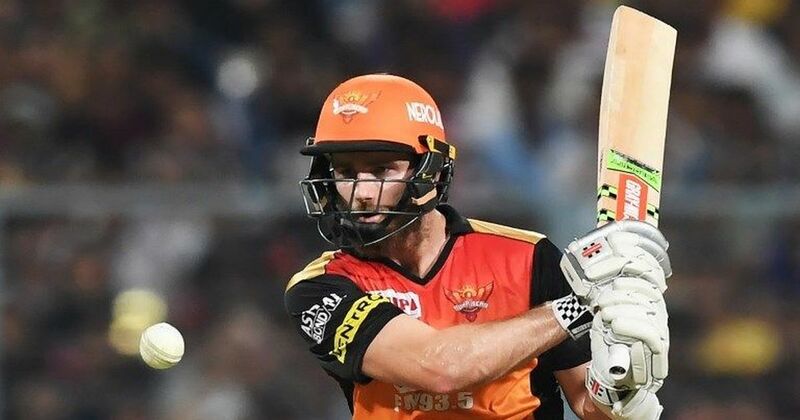 Captain Kane Williamson led from the front with a solid fifty as Sunrisers Hyderabad shrugged off initial wobble to beat Kolkata Knight Riders by five wickets in their IPL match in Kolkata on Saturday. Williamson struck exactly fifty off 44 deliveries, hitting four boundaries and a six to help Sunrisers chase down the small target of 139 after the visiting side were reduced to 55 for 3 in the ninth over at the Eden Gardens. Opener Wriddhiman Saha and Shakib Al Hasan made useful contributions of 24 and 27 respectively. Williamson’s 59-run stand with Shakib – who also took two wickets in KKR innings – for the fourth wicket eased the pressure on the Sunrisers as they reached 139 for 5 in 19 overs to notch up their third win on the trot. The match briefly threatened to take a twist when Williamson was out in the 18th over and Sunrisers needing 20 from 2.4 overs but Yusuf Pathan (17 not out off 7 balls) had other ideas as he hit a four and a six in the 19th over bowled by Andre Russell to finish off the match with one over to spare. The Sunrisers made a bright start to their chase with openers Shikhar Dhawan and Saha scoring 32 in three overs before both departed in quick succession. Saha hit three fours in third over bowled by Mitchell Johnson to get 16 runs from that over. With Dhawan also, getting the boundaries with ease, it looked like for a while that the Sunrisers would chase down the target in quick time. But the match turned on its head after the first wicket fell in the form of Saha in the fourth over. Sunil Narine delivered as soon as he was introduced in the fourth over as he induced Saha to poke at an away going delivery into the hands of Shubman Gill at point. Dhawan, who was in fine touch in the last two matches, was out cheaply this time for seven as he became Narine’s second victim in the sixth over, clean-bowled by the West Indian off-spinner and suddenly Sunrisers were in trouble at 46 for 2. Manish Pandey did not last long as he was trapped LBW by Yuzvendra Chahal for four in the ninth over. Run rate drastically dropped as the Sunrisers reached to 62 for 3 at halfway mark, needing 77 from the remaining 10 overs. But the visiting side had their men in captain Willaimson and Shakib to do the job in the middle and they steadied the innings with a 59-run association to set up the win for their side. Earlier, a splendid bowling show spearheaded by pacer Bhuvneshwar Kumar, coupled with a brilliant fielding display, helped Sunrisers restrict KKR to a modest 138/8 in a rain-interrupted first innings. Returning to action after a one-match injury lay-off, Bhuvneshwar once again shone at the death, claiming 3/26 as KKR’s rejigged batting order looked in a complete disarray. Opting to bowl after winning the toss, SRH’s overseas duo of Billy Stanlake (2/21) and Shakib Al Hasan (2/22) put the brakes in the middle overs, triggering a collapse after a one-hour rain delay. An integral part of KKR’s twin-IPL winning campaigns, Shakib became the thorn against his former team and young Australian pacer Stanlake gave him a fine support. The left-arm spinner from Bangladesh took the two key wickets of Chris Lynn (49 off 34 balls; 7x4, 1x6) and Sunil Narine (9) to play a big role in restricting KKR to a small total. Lynn was the lone KKR crusader in the middle but a sensational diving catch by Shakib off his own bowling denied the Australian a half-century as the star Bangladeshi cricketer once again did his job in the middle overs. Bhuvenshwar gave the first breakthrough by dismissing Robin Uthappa (3) in the third over after a successful use of DRS. KKR showed defensive strategy early on to hold back their in-form opener Narine, a move that did not help much as their batting order did not seem convincing with U-19 World Cup winner Shivam Mavi coming in at No 7. 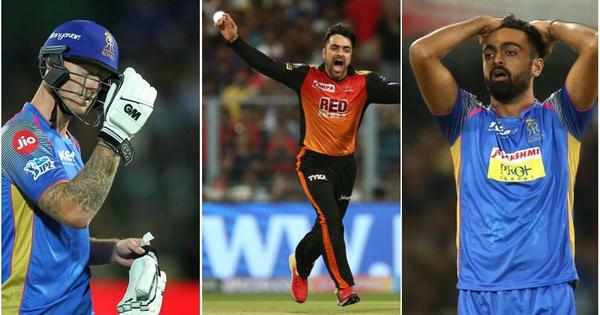 Bhuvneshwar’s breakthrough and a tidy two-run over by Stanlake had KKR struggling for 23/1 in four overs before Lynn and Rana seized the momentum in two overs off Siddharth Kaul and Rashid Khan who leaked 14 and 12 overs respectively in their first overs. KKR were looking good with Lynn and Rana in the middle before rain stopped the play at the score of 52/1 in seven overs. But SRH did well to bounce back, riding on a splendid catch by Manish Pandey. Rana hit Stanlake firmly just wide of Pandey, who showed amazing reaction to grab it on the second attempt and give SRH the breakthrough in four balls after play resumed. The wicket straight after the rain break was a bonus and SRH did not look back after that.